At one time, high-end professional photography and video tours were enough to make online listings pop. These days, they are merely the price of entry. At Inman Real Estate Connect NYC, the floor was filled with agents and brokers hunting for the next big thing to give them an edge. We’re in the middle of a real estate technology boom. Tech-savvy brokers and agents are seeking out new ways to differentiate their businesses and stand out from the competition. At Matterport, we know that our 3D Showcase provides the edge they need. Matterport CEO Bill Brown was invited to speak on the Inman main stage about the applications of 3D and virtual reality in real estate, and how these technologies will impact the industry. Our 3D Showcase has only been on the market since July 2014, but the implications of this transformative new medium are clear. Because 3D Showcase makes it possible to capture the feel of a place, agents are seeing greater excitement around their listings. Buyers come to their open houses excited about the home, and, in some cases, ready to make an offer. They’re also seeing increased interest from out-of-town buyers, expanding their customer base. By creating an accurate, immersive sense of what it’s like to move through a property, Matterport is changing the consumer’s home-buying experience. 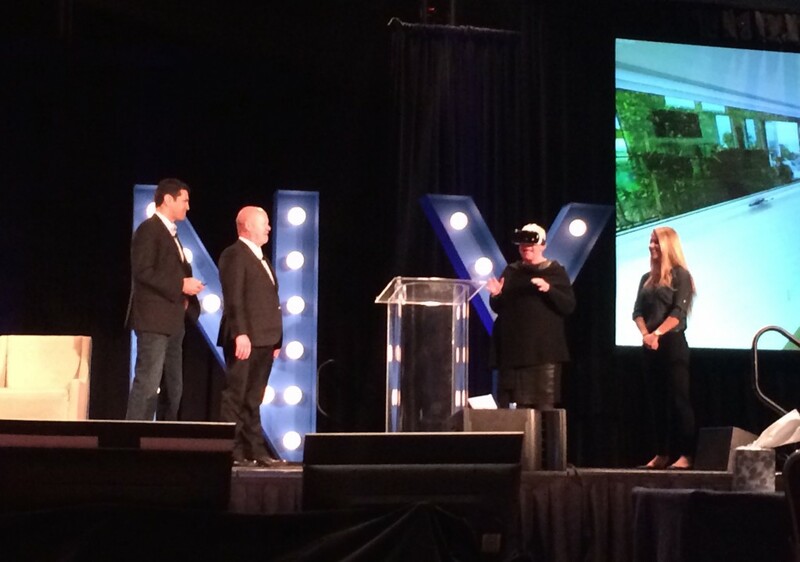 During Bill’s presentation, Sherry Chris, CEO of Better Homes and Gardens Real Estate, was invited on stage to experience the future of real estate listings using the Samsung Gear VR headset and Matterport VR Showcase virtual reality content—and she was blown away. Matterport 3D Showcase is being used by brokers and agents today, but the future possibilities for this content are endless. Virtual reality platforms like the Samsung Gear VR headset (powered by Oculus) add another dimension to the immersive quality of our content. In fact, we see a future where developers and service providers build a set of applications on top of our technology platform, creating unique capabilities that don’t exist today. It’s not just Silicon Valley that’s interested in driving technology forward. Media magnate Rupert Murdoch spoke at Inman on his acquisition of move.com and realtor.com, and discussed his bullish stance on mobile as a key platform for real estate. As more home buyers turn to mobile to discover and evaluate properties, creating one seamless experience across devices will be extremely important. Because it uses WebGL, Matterport 3D Showcase is now available on almost any tablet or smartphone, putting the realistic spatial experience at the fingertips of prospective buyers. 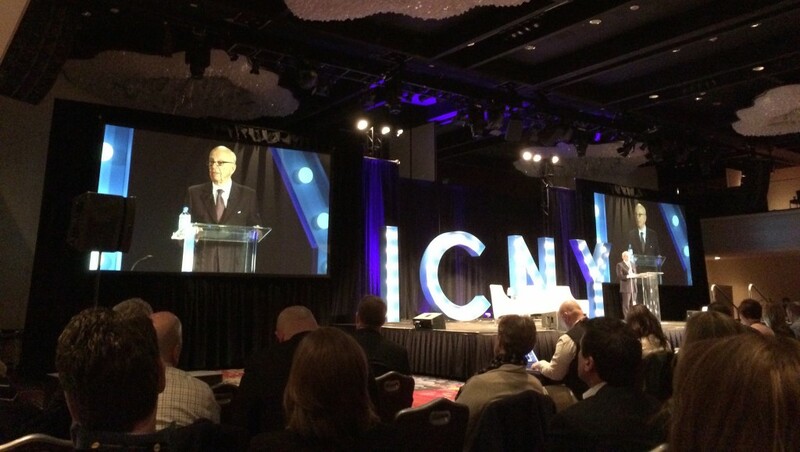 Rupert Murdoch talks about move.com, entrepreneurship, and the mobile future of real estate. While Matterport technology is still developing, our immersive 3D models already provide unprecedented flexibility in how consumers shop for properties online, from anywhere. In our humble opinion, this could totally revolutionize the home-buying experience. Soon, we’ll be adding new features to our platform, like greater flexibility in viewing individual floors in dollhouse and floorplan views; improved ability to take measurements and make text and video annotations; and the ability to create guided tours. You’ll also see developments in our immersive virtual reality content, most notably through our relationships with Oculus and Samsung. With virtual reality, you can experience the feel and scale of a space simply by turning your head, further enhancing the level of realism of Matterport content. All of this makes for exciting times in real estate technology. We’re particularly interested to see the ways in which creative real estate agents and brokers will incorporate all of this new technology into their businesses to attract more clients, gain a competitive edge, and transform the real estate industry forever.